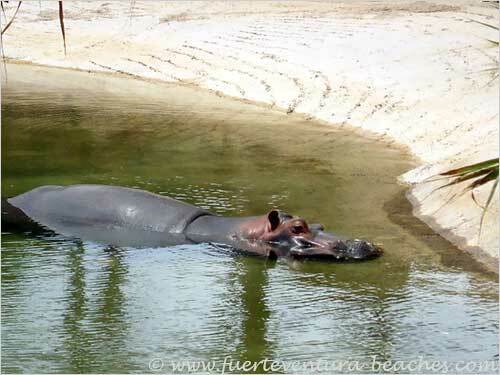 The major tourist attraction on the island is the Fuerteventura zoo, which is in the south of the island at La Lajita, and is called Oasis Park. It is advertised as the biggest park in the Canary Islands, and offers an extensive zoo with animal shows, a large cactus garden and a large garden centre. It is open 365 days of the year from 9am – 6pm. Many visitors visit the zoo by a fleet of free buses which transport visitors from Corralejo, Caleta de Fuste, Costa Calma and Jandia. 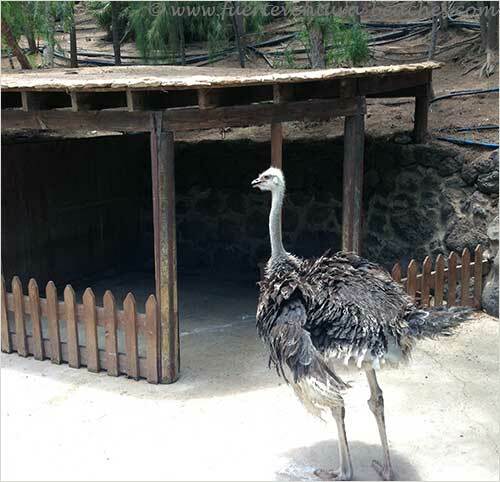 The Fuerteventura zoo covers an area of about one million m2, and offers a full day out for anyone who enjoys being with animals and enjoys walking around the enclosures and open areas. There are over 3000 animals from 250 species, and the zoo specializes in animals that live in savannah area. There is also a successful conservation policy. For those who arrive by car there is free car parking. At the entrance there is a ticket office where you buy your tickets. It is also possible to buy tickets online at the zoo’s website, and this offers discounted admission which is valid for 3 months. Admission prices (correct at 01.01.14) are 28 euros for adults and 18 euros for children aged 3 – 11. There are discounts for residents of the Canary Islands, for OAP’s and for handicapped people. Motorized scooters are available to hire for those with reduced mobility. 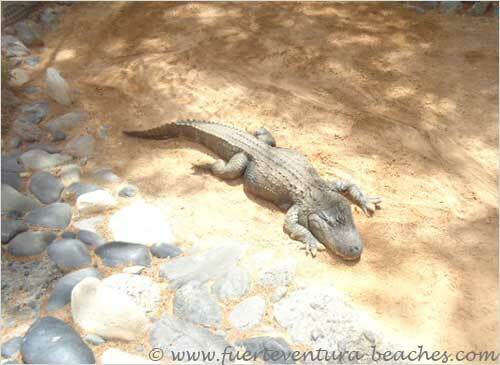 At the Fuerteventura zoo you can see elephants, giraffes, zebras, hippos, cheetahs, camels, crocodiles, alligators, flamingoes, otters, mongoose, tortoises, lemurs, snakes, parrots and birds, raccoons, meerkats, coatis, ostrich, wallabies, lynx and a range of primates, large and small. Included in the admission price are 4 shows. There are at least 2 shows each day to see the parrots, the reptiles, the sea lions and the birds of prey. All are interactive and entertaining. 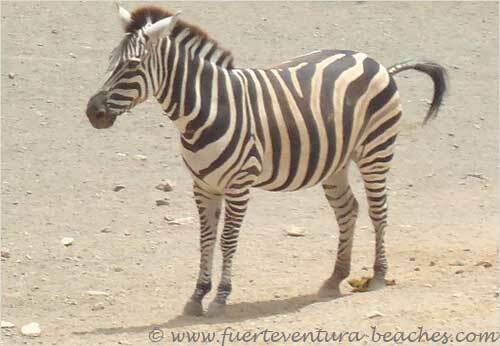 Within the Fuerteventura zoo is a petting farm where you can meet a range of farm animals, such as cows, sheep, goats, horses, donkeys etc. 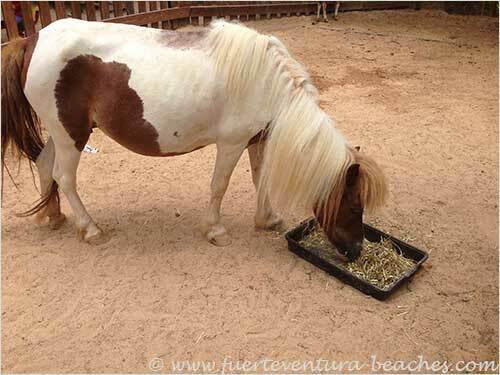 There is also the fantastic opportunity to feed the animals, excepting the primates. For one euro you can buy a bag of food – dry or fruit/vegetables – and you can hand feed the animals. Can you resist the opportunity to feed the elephants and giraffes? There is also a great opportunity to ride a camel, as there are organized camel safaris. This is something that you have to pay extra for. 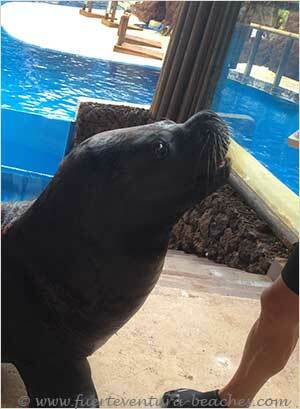 Other interesting and exciting opportunities, that are extras, are interactions with sea lions and lemurs. Within the zoo there are 3 restaurants, a shop selling sandwiches & snacks and a souvenir shop. There are numerous vending machines around the zoo which sell cold drinks and ice creams. There are toilet blocks in several locations around the site. 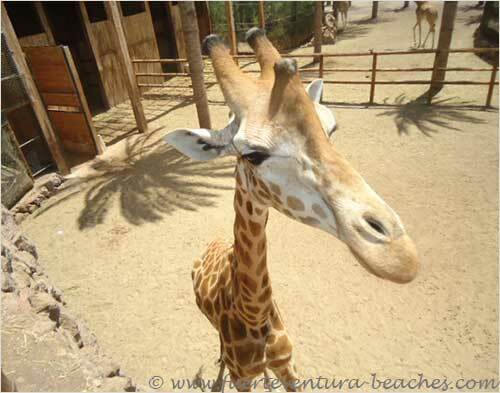 At the end of your visit to the Fuerteventura zoo, you have the opportunity to buy a souvenir of your visit – a photograph that was taken as you entered the zoo. A perfect way to remember your day out. We have made a list of tips to keep in mind when visiting the zoo. Some of them are common sense (like drinking plenty of water if the weather is hot), but some people still overlook them. Take or buy plenty of water, as the sun is usually hot. Look at your zoo map carefully before you set off so that you know where everything is, especially the toilet blocks. Make sure you see all of the shows; you will need to get your timing right! If you do run out of time, or feel tired, then it’s possibly best to miss the Botanical Garden and Birds of Prey Show, as these are located at the furthest distance away from the entrance/exit.